Teen Author, Entrepreneur & member of M.A.D. 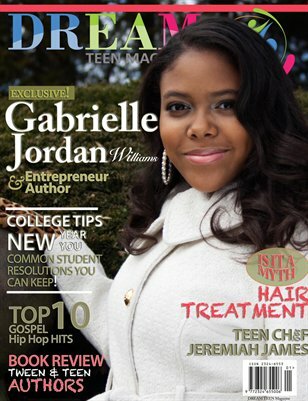 Girl, also received honors from BET Black Girls Rock, Gabrielle Jordan Williams. Featured stories on Chef Jeremiah James﻿ and Actress Zariah Jani Singletary, tween author LaNiyah Bailey, Anti Bullying Advocate﻿, Anti Bullying Author Nkiyasi Helm, The Princess Program, Scholarship Awareness--Resolutions You Can Keep for 2015.